The Little Kids Party Pack is a fantastic option for your child’s birthday! Our entertainer will arrive at the venue of your choice and simply amaze the kids with a range of interactive activities! A fun, energetic and engaging entertainer will come will come out to you and provide any of the inclusions below for up to 20 kids! 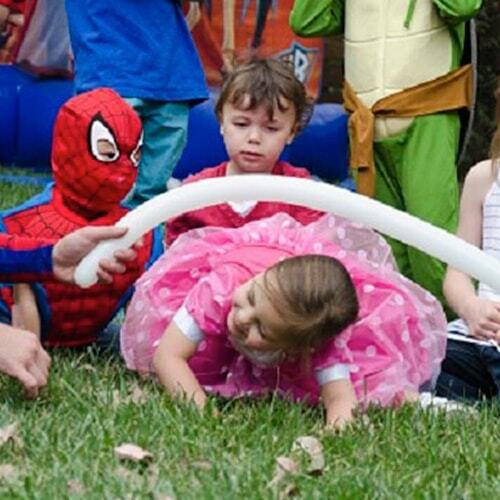 If you think you'll have more than 20 kids we'll send out a dynamic power-duo of 2 entertainers. This will make sure they have time to turn all little kids into tigers before the end of the party! A super fun host will come out to your nominated venue, with all their own professional equipment ready to entertain! Generally, we recommend 1.5 hours however parties can run for any duration. We'll work with you to tailor a pack to suit the expected number of kids and age group, and select the activities shown here. We can run activities for any age group – it’s an awesome kids party choice! Get in touch with Amazing today to plan your perfect Little Kids Pack. Request a booking, or to speak with an Amazing Concierge, call or inquire online.